The Graduate Certificate in Data Science & Analytics is designed to serve the advanced educational needs of Bachelor’s-prepared professionals who require modern skills for manipulation and organization of their industry data. The certificate program consists of 12 graduate credit hours and is designed to equip graduates with essential data analytics skills and competencies to be effective and competitive in today’s data-driven work environments. Data science and analytics (DSA) is a fast-growing area leading to excellent job opportunities in a variety of fields, including business, industry, health, government, and education. This interdisciplinary certificate offers recent college graduates and industry professionals the opportunity to build skills as data analysts, without the commitment of pursuing a Master’s degree.  However, the graduate certificate program in DSA may be applied toward a Master’s degree in Multidisciplinary Studies - Data Science & Analytics Track at SUNY Buffalo State.